You often don’t realise what you don’t know when embarking on a self build project. We hold seminars at our manufacturing facility at Dalgety Bay, on selected dates throughout the year, to help you through the journey of building your dream home. What is SIPS? 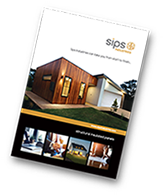 Why SIPS Industries Ltd? Get in touch and we will send you full details of our next available seminar…. Without doubt the most well organised, enjoyable and highly informative self build seminar I have attended. Excellent and very knowledgeable speakers covered everything I wanted to know clearly and from a real world perspective. We were sceptical before the seminar, thinking that it may be sales orientated but it was in fact the very opposite. 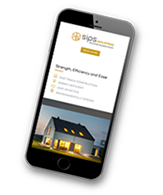 The information was very helpful from the various professionals, from the Sips Team through to Architects, Engineers and Financial Planning. A very worthwhile day. We received more tailored information than is available in books. A comprehensive range of speakers. We had plenty of time for 1-2-1 conversations at breaks. The seminar was incredibly useful. We learned a lot about the process of building a house, financing it and installing heating, power and water supplies etc. The day was time very well spent solidifying our ideas on how we want to create our home.